I’ve read and loved a few of Deanna’s paranormal novels so thought I’d try a straight contemporary romance. Its written in Deanna’s easy to follow, usual writing style, and has characters that seem real, that you feel for and that you want a HEA. Lucy, that is, not the moronic user so called soul mate Caden. That guy is a jerk… and I was so hoping she didn’t get taken in by his promises and the “soul mate” connection again. Poor Lucy, her lovely dad recently died, her mum is – well, weird and selfish just wanting Lucy to play happy families with her and the man she left her dad for, even though he’s not a nice person. Add to that she’s just caught her rock star, band mate, boyfriend cheating with not one but two women, and he’s forged her name on the rights to new songs she’s not ready to release. That poor girl felt like everything fell at once, and escaped on the spur of the moment to stay at her dad’s house near her best friend Jax….and Caden keeps trying to get her back saying that record company will take everything if they don’t uphold the contract. On her escape she goes for a night out to celebrate Jax birthday, and meets the delicious hunk, Seth. He’s a celebrated artist but his soul-mate was killed a while before in a crash he blames himself for, and he hasn’t painted since…Lucy sparks something in him though, and he feels the coldness in himself start to lift. He’s only had one night stands since E’s death, but he wants more that this with Lucy. There’s lots of drama and emotion here, with Seth and Lucy both having past sorrows to recover from, and Lucy being harassed by Caden and her mum, who thinks she should get back with him. Jax keeps pushing her to stay away, she’s long felt they were not good for Lucy, and is worried that she’ll get dragged back in to a life where she was unhappy. Its a solid read, well plotted with lots of drama. I loved Seth and Lucy, and was rooting for their HEA. When even more secrets came out at the end, just as I’d almost given up I was torn between cheering, and being really angry at the person behind them. Great fun romance, really enjoyed it though its a one off for me, and not one to re read. Its priced at just 77p though for 228 pages and is a real bargain 🙂 and we all love those! Stars: four, solid readable romance. Anyway, this started all drama with poor Katrin on the phone to emergency services as her ex tries to break in, threatening to kill her. They’ve been apart for six months but he’s got an alcohol problem and recently has been stepping up his harassment. This is too much for her and her family so they arrange for her to stay and work in a town far away setting up a new clinic. Katrin’s a nurse, so this is perfect for her. She gets a lift with Erik ( I forget exactly how he’s connected to the family, cousin or brother in law or something, to her sister I think) who is also stating a new job in the locality she’s moving to. 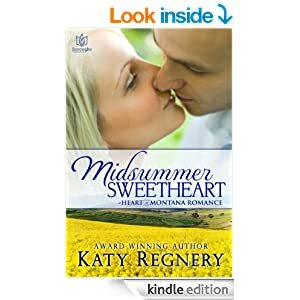 When he comes to pick her up something sparks between them, but Katrin isn’t looking for romance yet, and Erik is determined romance and white picket fences have no part in his future. Somehow though he can’t seem to stay away, telling himself he’s checking on Katrin each Sunday to keep his and her family happy….Yeah – keep telling yourself that Erik. Of course things heat up between them and even though she’s been warned about his no relationships, no girlfriends etc stance Katrin finds herself falling for him anyway. Erik isn’t happy about what’s developing and …..The family all gathered for an annual event that brings everything to a head. Things heat up then, with danger coming for Katrin, secrets get revealed and the reasons for Erik’s cynicism are shown to be due to a mistaken reality. It leads to some passionate moments, deep drama and lots of emotion. Right up my street. I enjoyed the story, Katrin was lovely, Erik – well at times he was a jerk, so entrenched in his beliefs he couldn’t see past them to what was in front of him. He redeemed himself in the end though 🙂 I do like it when authors let us glimpse what a person is reasoning by way of their mental musings, but sometimes in this novel Erik when into what became a long monologue, and I felt it was just too much info…I loved the story itself though, and they way things played out between Erik and Katrin, they way he was constantly battling and trying to give himself some kind of rationale other than love for his feelings. I’d kind of worked out the plot but it still made for a fun and entertaining read. Not one I’d re read, not quite deep and dramatic enough for that but a solid romance never the less. Still, as ever I’m just one person and if you want something easy to read and lighter than I enjoy this could be perfect for you. It’s priced at £2.50 for 263 pages on kindle. Stars: Four, good gentle romance, solid plot but not quite enough drama for a five from me. Her Paranormal It’s You is scheduled for a Winter 2014 release.